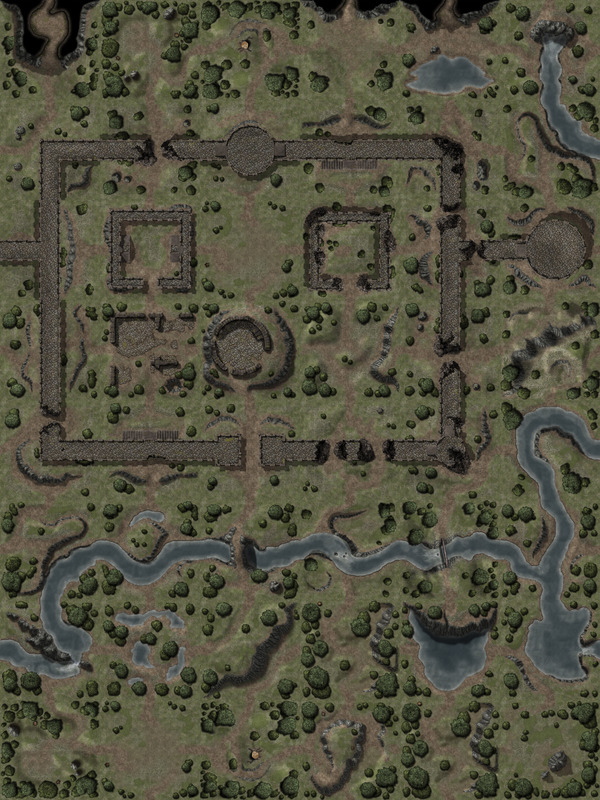 This HUGE battlemap was made using Gabriel’s tiles. It was made to fit 120 x 160 squares in Roll20. The download contains a zip file with the full size map, and an additional version divided in 12 sections, to keep each one under 5mb and make it easy to upload to your favorite virtual tabletop. It features, besides the ruined fortress and river, 3 cave entrances at the top of the map. These entrances coincide with the (also huge) Cave map posted on the site, in case you want to use them together.